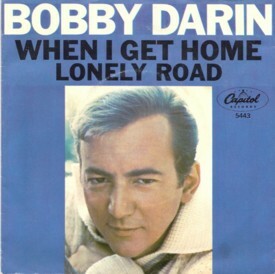 BobbyDarin.net/BobbyDarin.com - "When I Get Home"
"When I Get Home" was released in June 1965 on Capitol records. This song was also co-written by Bobby. The flip side of this 45 is "Lonely Road."